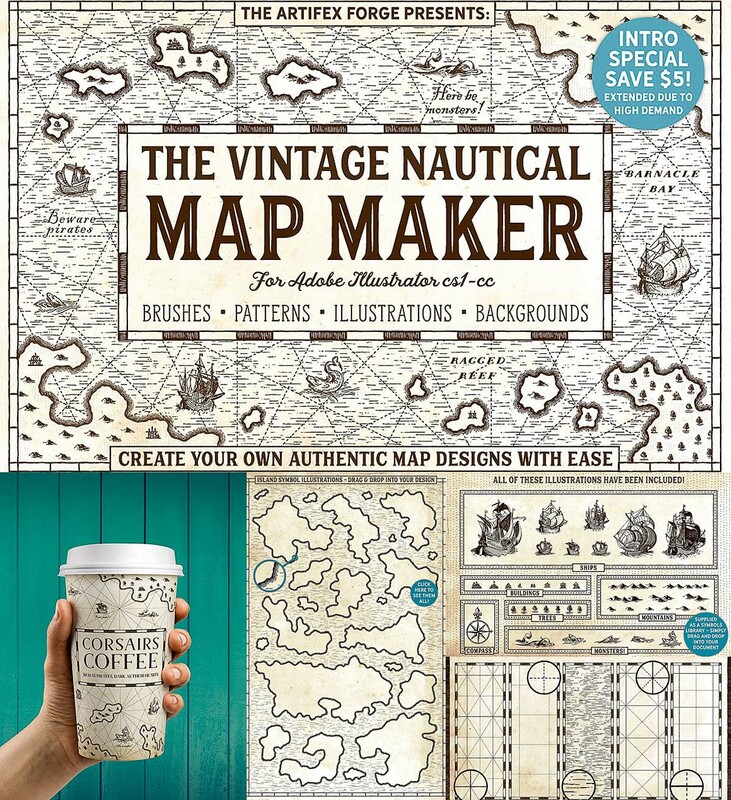 Whether its for a pirate-themed project, an eye-catching event flyer, intricately patterned soft furnishings or an evocative brand design, you can easily bring them to life with this one-stop map creator toolkit. File format: .ai, .tif for Photoshop or other software. 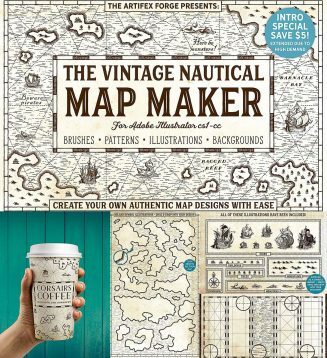 Tags: Antique, brush, map, nautical, pattern, pirate, ship, vintage.